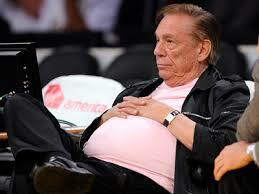 Donald Sterling: Why Are We Still Surprised by Racism? Once again a public figure has made disgusting, racist comments and people are shocked, just shocked. Prominent folks from NBA Commissioner Adam Silver to President Obama have weighed in. Seriously, is anyone surprised by this? All sorts of famous people, from Michael Richards of “Seinfeld” to Paris Hilton to multiple members of Congress and other elected officials have been caught making racist remarks when they thought they weren’t being recorded, and sometimes even when they knew they were on camera. Folks, welcome to America. Racism lives. 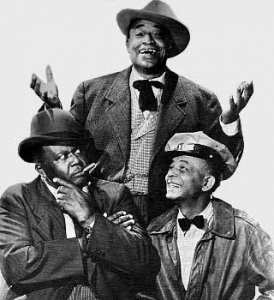 It’s less obvious and less overt than when I was a child – when you could still see offensive stereotypes in “Amos ‘n Andy” reruns on TV, and in cartoon characters like the Frito Bandito and Joe Jitsu – but it hasn’t gone away. In fact, because such sentiments are no longer considered appropriate in polite company and thus rarely voiced in public, it’s become easier to pretend that they don’t exist. But they do, and it would be surprising if they didn’t. In a nation whose capital city was largely built by slaves and that expanded across the continent through what is arguably the most successful ethnic cleansing campaign in human history, it’s simply not realistic to think we’ve shed all that baggage in a few decades. Actually, it’s more than just vestiges. An October 2012 Associated Press poll found that “a slight majority of Americans now express prejudice toward blacks whether they recognize those feelings or not.” AP found that 51 percent of Americans expressed “explicit anti-black attitudes,” while a parallel survey the year before found 52 percent of non-Hispanic whites expressed explicit anti-Hispanic sentiments. In both surveys, the numbers rose for both blacks and Hispanics when researchers probed for implicit prejudice. The recent, offensive remarks of the L.A. Clippers owner are no surprise. What’s surprising is that people who should know better still act surprised at such things. This story says a lot about race in America, and it’s still unfolding. We’ll continue to keep an eye on it, and we invite you to join the dialogue.